Below you can get free blank printable calendars, in both monthly and weekly varieties, in both landscape and portrait, to put in your household notebook. 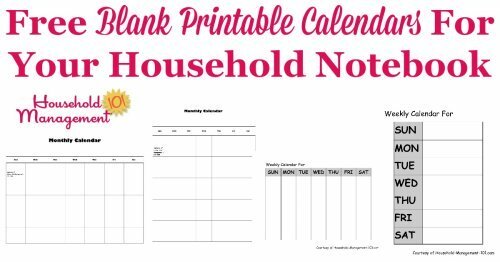 I know how difficult it can be to create your own household notebook, so I have created some free printable blank calendars you can place in your binder and fill out, as needed. Some people prefer their calendars printed in portrait, and others in landscape, so I have created both varieties. 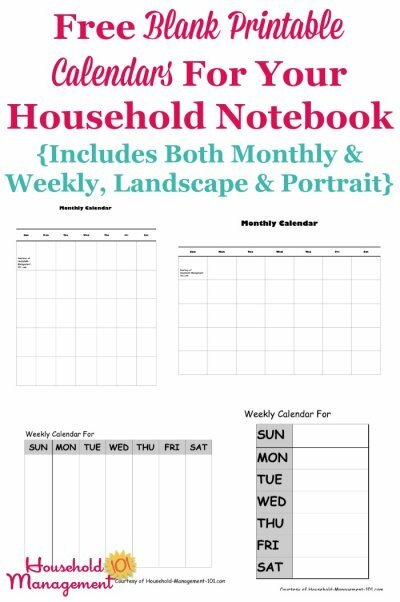 In addition, since most household routines and schedules occur on a weekly or monthly basis I have created both types of calendars. I suggest using the monthly calendar as a place to see the big picture of your plans for the month, and the weekly calendar to plan the incremental steps of how you'll get there. 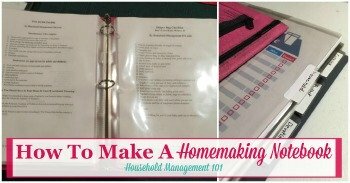 Do you want to know more about making your household notebook? If so, check out my article about how to make one here. 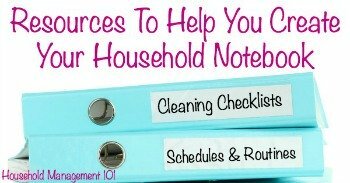 In addition, check out all these resources for making your own household notebook.